One of the largest cities of Kyrgyzstan, Karakol has a population of 80 thousand inhabitants, it is located 12 kilometres away from the grand creation of nature, the majestic Issyk Kul Lake. The city was founded by Russian merchants and the militaries in the late 19th century, used both as a garrison for the control of the south-eastern borders, and as a commercial area featuring important trade routes. In addition, local gorges, animals, plants, mountain ridges and valleys attracted scientists, among whom was the famous ethnographer Nikolai Przewalski. During one of his expeditions to the area, he came down with typhus and died in Karakol. A few years after this, the tsar decided to rename the city after him, changing the name to Przewalsk. It was just a beginning, then in the last hundred years, local residents were forced five times to get used to renaming "Karakol-Przewalsk- Karakol" - each new government decided on its own, so the older generation today does not really know what the name of their city is. Officially, it is Karakol since 1992. The name is translated as a "black hand" which origins from the name of the local river. Karakol Historical Museum commemorates Przewalski. Although the place does not store any exclusive and unique exhibits connected to Nikolai Mikhailovich, the ethnographer with a bad temper, still, there are enough artefacts to get familiar with the most known facts of his biography. 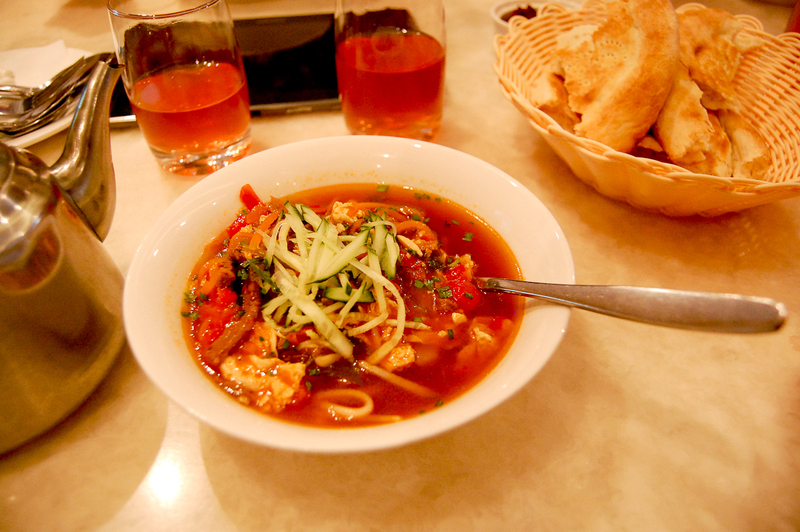 Karakol is a very pleasant place, especially its central part: ancient cobbled streets, merchants' houses, shopping areas, the smell of spices and traditional bazaars, among which green market and animal market stand out. The first is famous for its endless selection of vegetables and fruits, and the second market is at the same time a place of trade and exhibition. People from all over the country come there to bring various cattle, they make deals, drive hard bargains. At least one of the bazaars is worthy attention to understand what the eastern trade is. Another famous religious site is the Holy Trinity Cathedral, which, by the way, is also made of wood. For more than one hundred years of its existence, it has survived at all the "trappings" of the Soviet attitude to places of worship, when being used as a recreation centre, a gym, and a museum. After independence, in 1992, the church, or rather what was left of it - rotten and looted building, has been finally returned to church community. It took them three years to recover it, and this work was rewarded - today the Holy Trinity Cathedral with its appearance and atmosphere encourages even unbelievers to thinking about eternity. After that it's time to travel outside the city, because that is where nature has created such landmarks which people, with all due respect, will never be able to create in spite of all the efforts. Where to go is a rhetorical question: there is more than eyes can take in, and the choice is really huge. The guests are offered a modern ski resort, trekking trails, hot springs, mud baths, refreshing waters of Issyk Kul Lake, and dozens of breath-taking gorges and mountain routes. The road from Karakol to the resort takes from 5 to 6 hours by car and is a steep slope on the mountain serpentines along the Arashan River, in the narrow, rocky canyon. 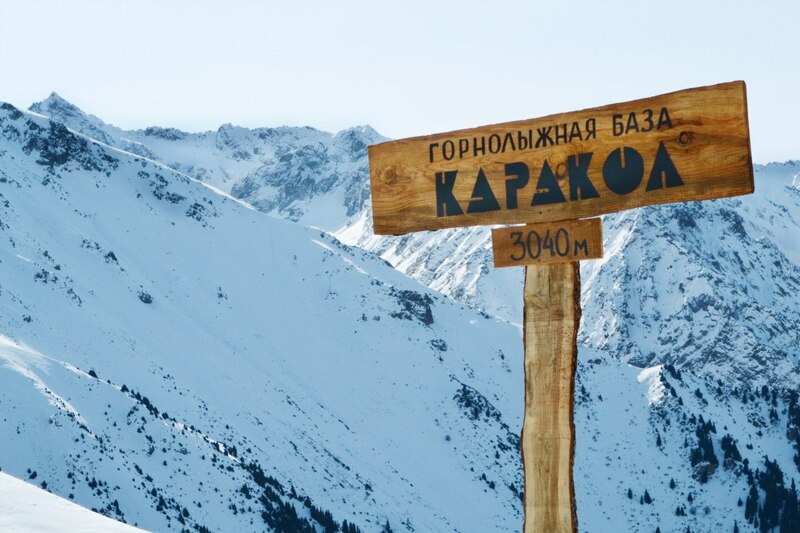 Directly from Karakol to the resort there is only about 35km, but this distance is impressively beautiful! 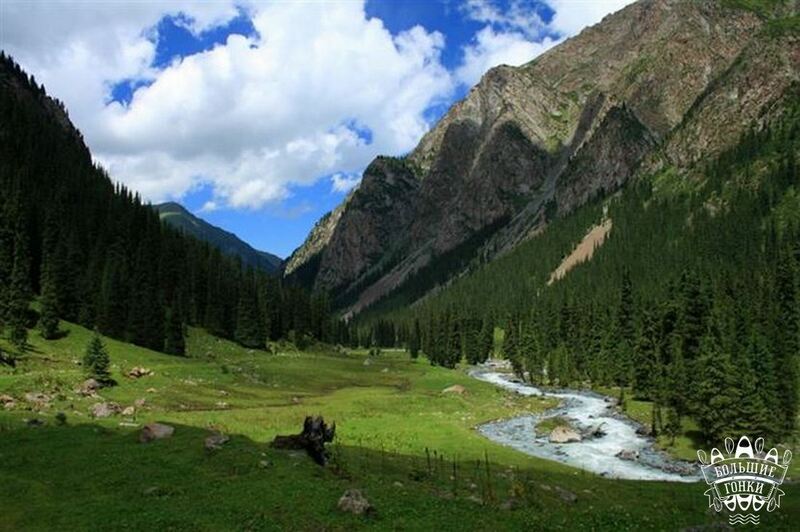 This place is also special by the fact that a large part of the Arashan valley, including hot springs resort Altyn Arashan is a protected area. The great thing is that the natural beauty operates throughout the year, so there is no concept of "season" here. Skis and snowboards are replaced by bicycles and quads, and the coolness of the Issyk-Kul Lake is taken over by hot springs and geysers. Everything is located against the backdrop of spectacular scenery that are not worse than the Alpine sites, but have a low marketing recognisability. Let's hope this is a temporary shortage and just a incentive for the development of tourist industry, because the most important thing is that the nature of Kyrgyzstan is eternal, and therefore everything will be developed to the best advantage.